We live in Delhi. Apparently, the city with the worst air pollution in the world!! With AQI readings reaching 999 in many areas of Delhi when the WHO sets those limits at 30, it is hard to wake up here every day without fretting over an imminent move out of the city. The dialog around #airpollution in India’s cities gains new ground every year when the emissions from diwali fire crackers and agricultural fields around North India keep on lurking in our air amid the onset of winter. That’s when the problem “comes-home”. 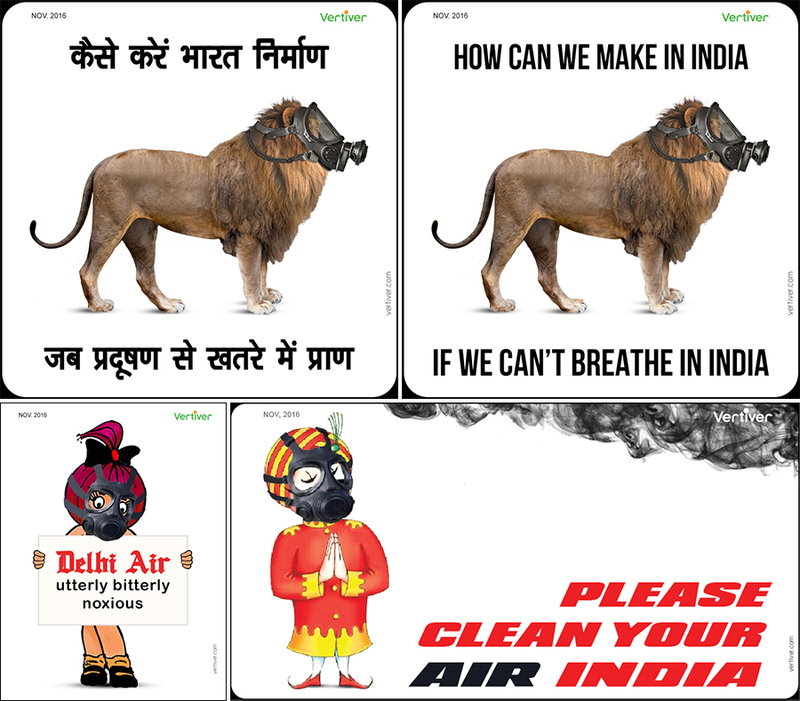 The finger pointing begins, politicians are blamed, industries are criticized, children are told not to go out and play while air purifier and mask manufacturers turn in a neat profit. There’s no denying that we need firm policies to bring about the required behaviour change but we believe that the problem must be addressed at the source i.e. 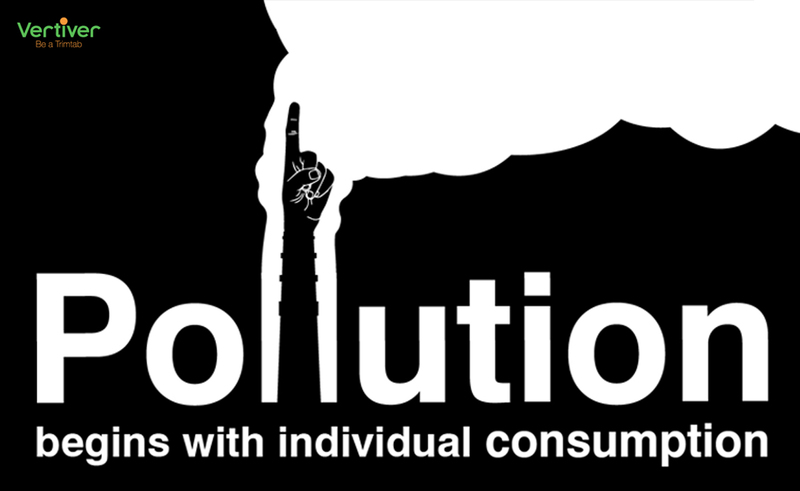 with individual consumption. Each one of us carries a #pollutionfootprint and we cannot extricate ourselves from the responsibility for contributing to air pollution by simply blaming it on someone else. In an attempt to understand the pollution footprint of things we use everyday, we researched their #CO2 emissions and createed a graphic based awareness campaign #pollutionsolutionsnow. We ask everyone to analyse their behaviour and change what they can so as to lower the impact on the planet’s resources as well as to minimise the emissions that end up in our air as toxic #particulatematter.